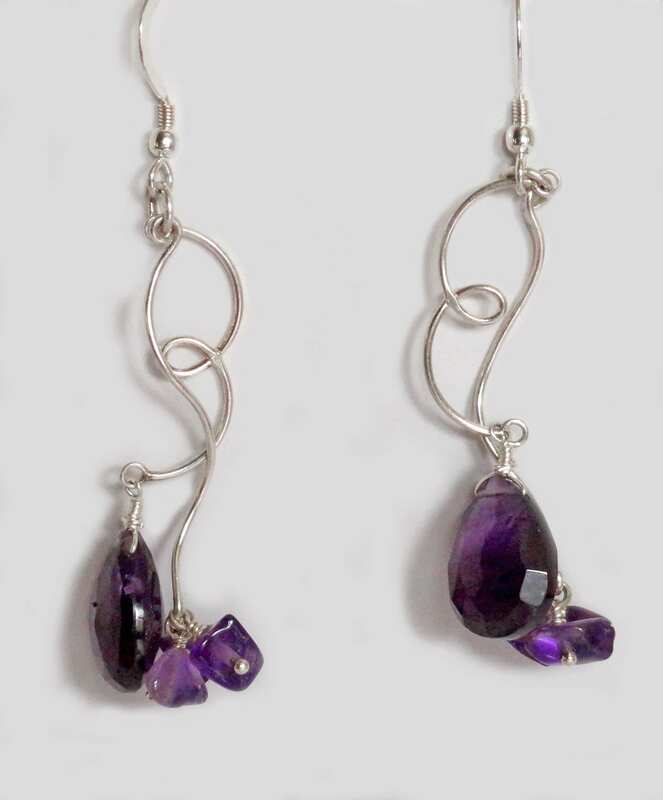 Dainty but fun sterling silver drops, one wavy, and one looped display Amethyst gemstone drops. Sterling silver earring wires. 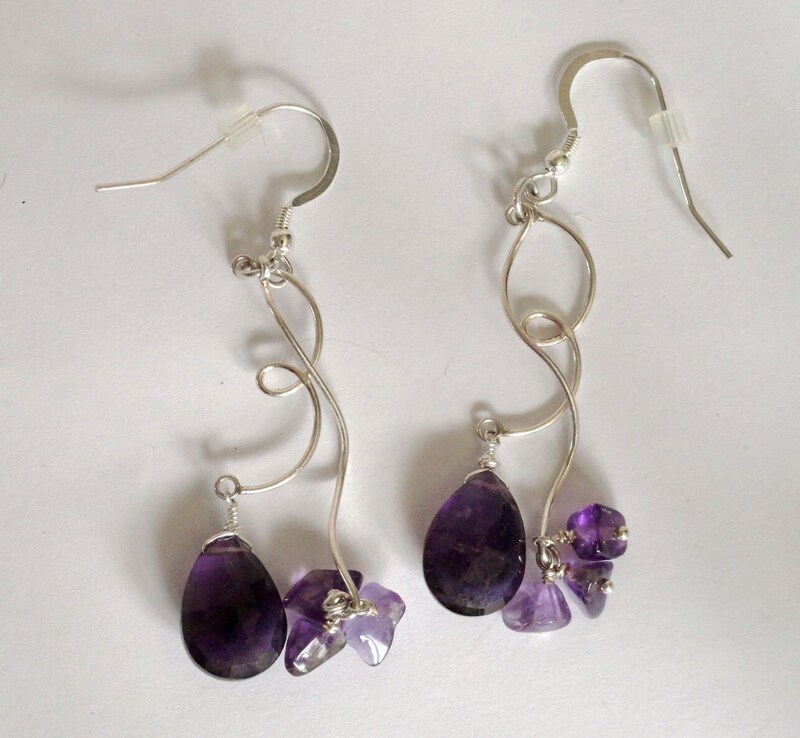 Amethyst is one of the most precious and valuable stones belonging to the quartz group of minerals. 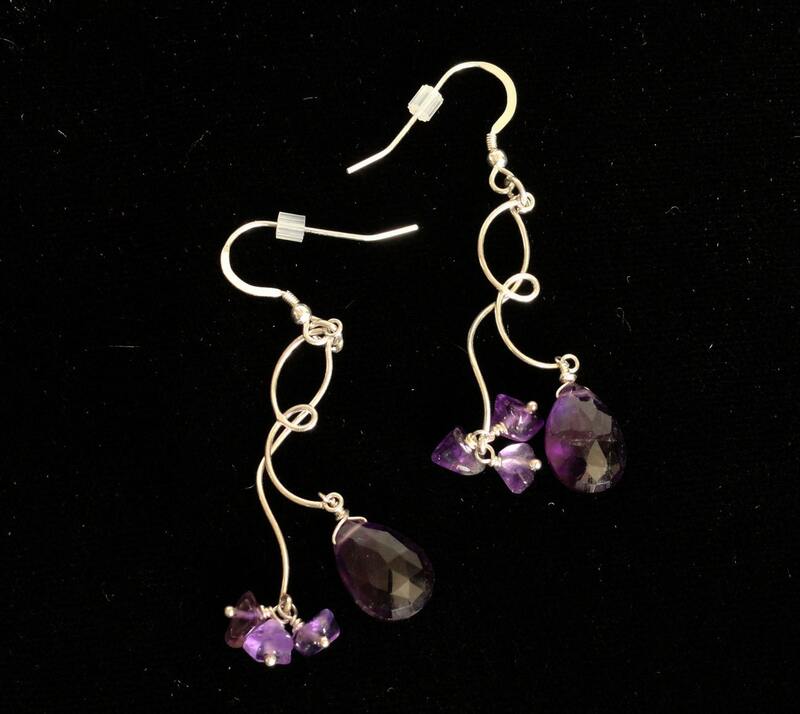 Since purple is considered one of the royal colors, amethyst has quite a historical importance as an insignia of power. Fine amethysts are featured in the British Crown Jewels and they were also a favorite of Catherine the Great and Egyptian royalty. Amethyst also holds a high place in the ranks of the Christian church and was referred to as "the stone of bishops". It is recognized as the official birthstone for the month of February.